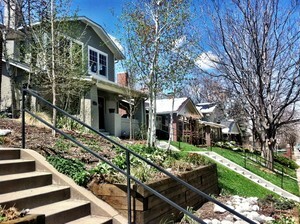 Congress Park is one of the most progressive neighborhoods located in the Denver area. Within this gorgeous, peaceful, opulent neighborhood is a park that features fields for sports, outdoor swimming pools, tennis courts, sports facilities and a playground for children of all ages. The population in this community is steadily growing. As of present, there are over 11,000 residents and over 6,000 Single family homes, condos and townhomes. Homes in Congress Park range from early century mansions to traditional style homes which feature Dutch Colonial, Mediterranean, Bungalow and Victorian styles, along with an assortment of duplexes. Congress Park is bound by Josephine St. to the west, Colfax Ave. to the north, Colorado Blvd. to the east and 6th Ave to the south.